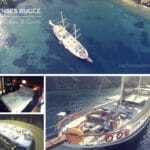 Unlike many Turkish boats – gulets; there are very few tirhandils available to charter for a luxurious blue cruise holiday in Turkey. 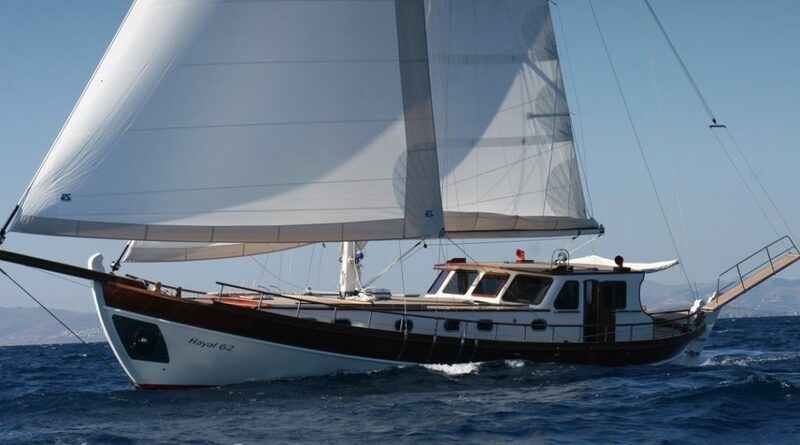 The Hayal 62 (Dream 62) is one of those rare boats. Built, refitted and based in Bodrum, she is in excellent condition to once again serve her special blue cruise guests in the crystal blue waters of the Mediterranean. The Hayal 62 tirhandil offers only 3 guest cabins. 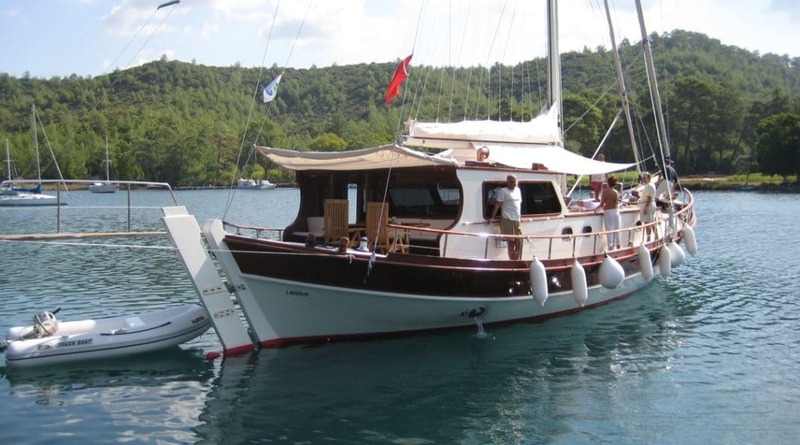 Ideal for a small family or friend group; or couples only as well; she makes for the ideal private yacht charter in Turkey. The photos are nice however does not give her enough justice. Seen in person, once can truly appreciate her beauty and elegance – and she also feels larger than the way she is portrayed in the photos. Yes the Hayal 62 charter tirhandil is 19 meters, but for a tirhandil with 3 cabins, that’s a good size. The tirhandil is the oldest type of boat in the Aegean sea. 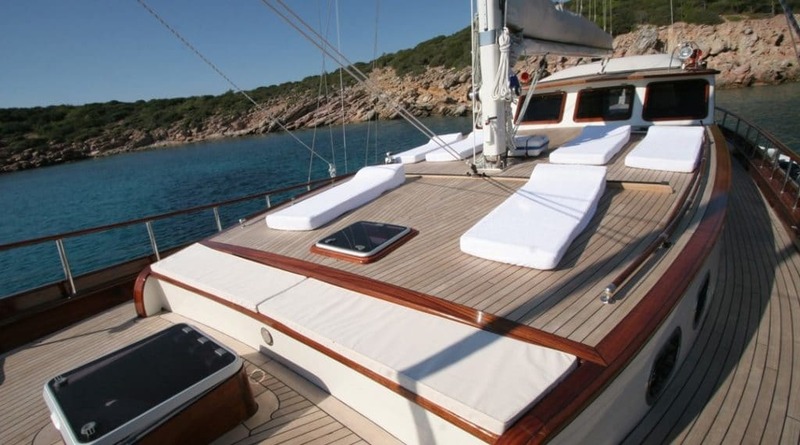 Due to limited accommodation capacity of a double-ended traditional design, they are not preferred for charters by the owners. 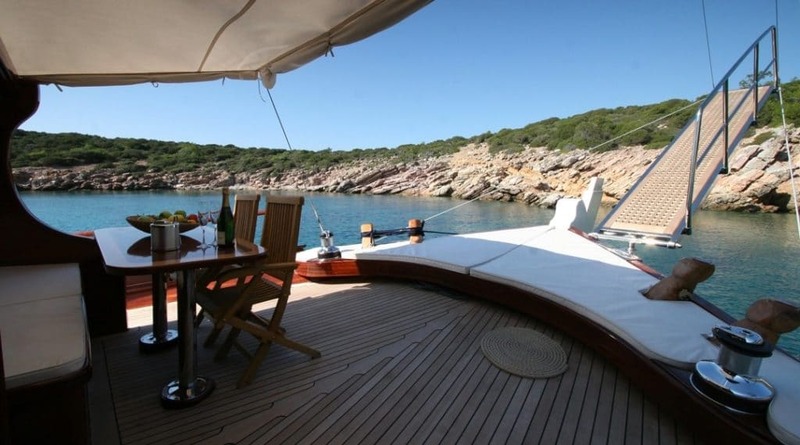 However, that can be debatable after cruising on board the Hayal 62. 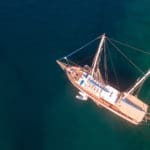 Tirhandils have been considered as the workhorses in the Eastern Mediterranean sea for the past 2 thousand years and used for fishing, sponge diving, and trawl netting. 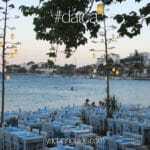 They resemble the caique as well as the Greek transport boat – perama. However the tirhandils continue to be admired due to the sailing ability. The Hayal 62 tirhandil charter is a very well maintained, and although a 3 cabin boat (1 master and 2 twins), roomy and luxurious. Each cabin is fully equipped with en suites and air conditioning. The stern offers alfresco dining area with large cushions, while the forward is ideal for taking in some of the hot Mediterranean sun. 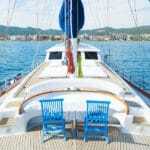 She comes with a very professional, and warm hospitable crew to serve her 6 special guests on their holidays at sea. 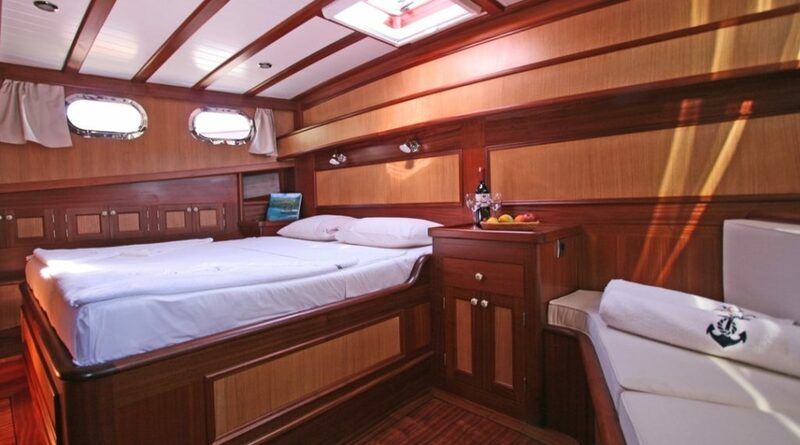 Good quality in accommodate, services and cuisine, expect to be spoiled on board the Hayal 62 tirhandil.